REV. 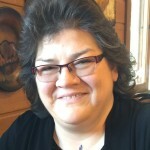 ELDER MONA WEST received her Ph.D. in Hebrew Bible/Old Testament in 1987 from The Southern Baptist Theological Seminary in Louisville, KY. She has taught biblical studies at several colleges and universities throughout the south. Originally ordained in the Southern Baptist denomination in 1987, Rev. West transferred her ordination credentials to Metropolitan Community Church in 1992. She served as the Academic Dean for Samaritan Institute, the school that trained clergy for MCC, from 1993-1997. She has been involved in pastoral ministry since 1997, serving as co-pastor of the 3000 member Cathedral of Hope in Dallas, as well as staff clergy for Midway Hills Christian Church in Dallas and more recently as the Senior Pastor of Church of the Trinity MCC in Sarasota, FL. Currently she is the Director of Formation and Leadership Development for Metropolitan Community Churches. 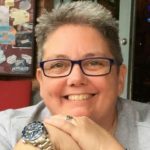 She writes and speaks about spirituality and Queer Biblical Studies and has edited two books: Take Back the Word: A Queer Reading of the Bible, published by Pilgrim Press, and The Queer Bible Commentary, published by SCM Press. Mona lives in Austin, TX with her life partner, Deb Elder, and their pet family. REV. DR KHARMA AMOS as serves as the Associate Director of Formation and Leadership Development for MCC. Prior to beginning this work in November of 2011, she served as the Senior Pastor of the Metropolitan Community Church of Northern Virginia for nine years. Kharma received her Master of Divinity degree in 2002 from Lancaster Theological Seminary, where she served until recently on the Board of Trustees. 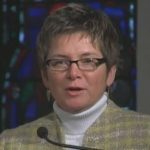 She received her Doctor of Ministry degree in 2008 from Episcopal Divinity School in Cambridge, Massachusetts with a thesis entitled Queering Church: Integrating QueerTheology in Congregational Life in Metropolitan Community Churches. Kharma has been a contributor to the Human Rights Campaign’s Out In Scripture online commentary series and authored a chapter in the book Split Ticket: Independent Faith in a Time of Partisan Politics, published by Chalice Press in 2010. MARINA LAWS has been a member of MCC since 2001 and began working for the denomination in the UK in October 2008. She has worked for three Elders as their assistant and looked after all administrative support for the previous Region 4. In 2011, Marina moved with her wife – Rev. Janice Bowker – to the U.S. where she is currently the Executive Assistant and Program Support for the Office of Formation and Leadership Development [OFLD]. Marina has coordinated regional conferences in Cape Town, South Africa and Birmingham, UK. She has held memberships at MCC Bournemouth, MCC North London, MCC Portsmouth, Living Springs MCC in the UK, as well as at Imago Dei MCC in PA, USA; she has also served as a lay delegate in the UK; in 2014 Marina & her wife moved to Florida and her current membership is at God’s Acre MCC in Ocala, FL, where her wife is the Senior Pastor and she is very active in her church community. Before joining MCC, Marina worked for 18 years with Dorset and Surrey Police Forces in the UK; Marina has also held the position of Practice Manager for a holistic chiropractic practice in the UK. Marina holds a qualification in Training for Restorative Interventions from Surrey Police and was awarded a Divisional Commanders Commendation for Policing Excellence. She was on a board of school governors in the UK; was awarded a certificate of appreciation and policing commitment from Her Majesty the Queen in the year of her Golden Jubilee. Marina graduated top of her classes in a Management Skills Development Course at Police HQ, Devon, as well as served as conference planner with the police on four UK Government Party Conferences.